The PL Jays started playoffs 7/22 with a 5-4 loss hosting Victoria. The Jays (#6 seed) are in Pool A of Section 3B with Victoria Vics (#4 Seed) & Chaska Cubs (#1 Seed). Chaska travelled to Victoria 7/24 and won 10-7 in 15 innings. Chaska was dropped 4-0 by the Vics 7/27. 7/29 an crowd estimated at 1400+ saw a pre-game flyover by vintage aircraft, and a Jays loss 10-4 to the Cubs. 4 of 8 PL walks scored but the D had many great plays and fought hard throughout. The postgame fireworks thrilled those in attendance and Jays voted Chaska 8th best park in America to lose at. Thanks to the Cubs for their hospitality, the Cubs travel to Prior Lake Veterans Field of Memorial Park Thursday for the return game to conclude Pool play. 8/1 UPDATE: The plucky Jays bagged the win in Victoria 6-1 on 7/31. Mullenbach scattered 4 hits yielding 1 run in 8 innings while Sheidecker yielded but 1 hit in the scoreless 9th and both yielded no walks. Cress started scoring for Jays by reaching on balls, advancing on sac and scoring from 2nd on a SB with overthrow in the 5th. Ben Wartman shagged 6 putouts in CF which included a 2 handed diving grab that reminded fans of Laker Football and scored the game winner in the 6th after reaching on error to make the score 2-0 on Tschimperles single. Olynyk & Johnson bagged 2 hits and scored twice as well to lead the hitters and Scott Geisler roped an RBI triple deep at Victorias Field 4 for 2 RBI in the 7th to make it 4-0. Sheidecker and Geisler knocked in Olynyk and Johnson in the 9th on singles. The Jays tallied 10 rips in the contest. Good News for Jays fans, standout pitcher Chris Swiatkiewicz has returned from his expedition to Tibet and appears ready to return to the hill to provided needed depth to the Jays staff after throwing simulated games in the pen over the past week. 8/2 UPDATE: The PL Jays were initially flat and the powerful Chaska Cubs appeared on cruise as #1 Seed in Section but after building a 9-1 lead after 3 complete, the Jays held the Cubs to 3 in the 6th and went to work with beaks pecking away at a tall order having averaged barely under 3 runs per game in Section 3 games with the Cubs in 2007. Down 12-6 in the 9th the hard working Jays needed plenty of runners and some luck against Chaskas Matt Lane. Travis Johnson led the inning hitting out 1-3, Singles by Hoppe, Shiedecker and a fielders choice by Wartman started the rally which was followed by a Cress single, Brian Anderson strikeout that squirted to the backstop, Olynyk & Oldenkamp Singles and a Geisler Strikeout that again eluded the catcher. Johnson, who led the inning with a groundout to the pitcher drove a single to bring up Sam Hoppe who drove the hit that scored Geisler to cap the SWARM of 6 runs scored with 2 outs. Hoppe was 4-5 scoring twice and reaching on balls, Cress 3-5 with 2 runs scored, Oldenkamp 2-6 scoring 2 runs and Scott Geisler while hitless in 3 at bats reached on balls thrice scoring 3 including the winner. Sheidecker, Johnson yielded to Oldenkamp who bagged the win on the hill holding the powerful Cubs to 1 walk and 1 hit in the final 3 frames. The players and fans of the PL Jays have likely never seen and may never a rally epic as this in the wood bat era of MBA Townball but the hardworking Jays must bounce back Friday travelling to Victoria 8/3 730PM and further extend the season with another big win in their 3rd consecutive elimination contest this week. The Jays battled and lost to the Cubs 1-0 & 4-3 in pool play and were winless in 2006 playoffs. They have picked up 2 wins in elimination games thus far and look to go further in 2007. FANS, GET ON YOUR RED & BLACK AND SWARM TO VICTORIA Friday 8/3 730PM! 8/3 UPDATE: The Jays travelled to Lions Park in Victoria Friday 8/3 on the heals of their dramatic win over Chaska and were unable to answer the bell one last time. The PL Jays sent Marshall Mullenbach to the hill. Mullenbach had thrown a gem slamming the Vic in a 6-1 8 inning performance which he tossed 109 on Tuesday in Pool Play and were hoping for another such outing but the tall ordaer was not to be. Mullenbach shut down 7 in the 1st 2 scoreless frames then allowed 2 in the 3rd on a hit and a walk to make the score 2-0 after 3. Unfortunately the Victoria Manager, Mike Poppitz, decided it appropriate to address the Jays pitcher with F bombs but the Jays held to high ground and maintained class throughout. The Jays lineup was light to start and Iron 9 it was with the Texan in RF to start until support arrived to give the birds some depth from Wartman & Oldenkamp who both played well subbing in. The Vics posted 6 in the 4th that had Anderson & Johnson in relief who yielded to Oldenkamp in the 6th bouncing on no days rest tabbing 3 quick outs. The Jays tallied 2 hits from Wartman and Chapman who each had 1. Victorias pitcher Duke Dungeon worked well in keeping the Jays off balance. The Jays 10-0 loss concludes the 2007 Season for PLABA hardball. The Jays had great progress in rebuilding with key new additions and posted 2 playoff wins to force Friday action and look forward to competing in Section Finals and MBA in 2008. PLAYERS & FANS: Call Hotline and coordinate uniform hand in and check email for post season bash next weekend. The Winner of PL at Victoria will travel to Chaska Sunday 8/5 600PM for opening action of Section 3B Final 4. 2 teams will advance to the Annual State Tournament in Hamburg & Norwood with pitchers & catchers from eliminated teams to be drafted by advancing teams. 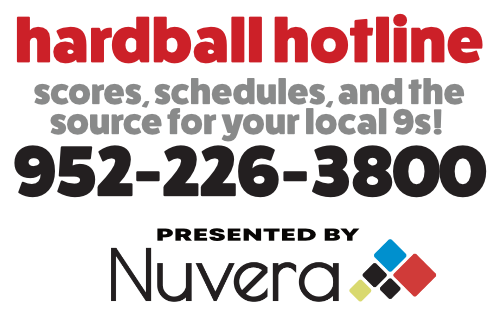 CONTINUE TO CHECK WEB & 952-226-3800 AS YOUR SOURCE FOR YOUR LOCAL NINES FOLLOWS CCL & DRS TO THE CHAMPIONSHIPS. The Victoria Vics were dropped by Chaska & Jordan who will play for the Final MBA Slot joining Green Isle. Jordan travels to Chaska 8/10 730PM and seeding game action will follow this weekend with the winner & Green Isle. Green Isle advanced past Jordan & Chaska in the double elimination Final 4 bracket.